This sweet, calm, cuddly, adorable chunker is two months old. Sad because my maternity leave is ending in a month. Amazing because he's sleeping longer through the night now and he is so much better at breastfeeding! 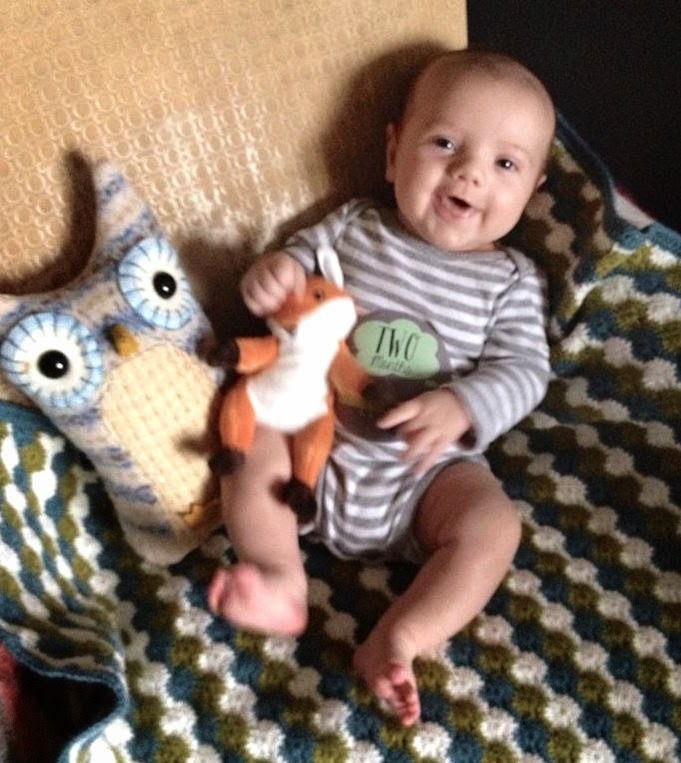 He smiles and coos, almost laughs- I can hear it starting to form in his little sounds. He's got big old hands and chunky little thighs. It's the best thing when he catches our eyes and smiles at us, and he's started to recognize Clover when she comes close to lick him up. I'm really looking forward to all of the winter hikes we'll do. We're taking him out a lot and hoping that he'll appreciate the cool weather and fresh air. As for me, I'm feeling stronger and and trying to enjoy all of the quiet time. I want to savor my daytime feedings with him since he'll be at daycare soon, and hold him more since he'll only get bigger. I'm also trying to enjoy this time to be creative. I've gotten a lot of new ideas that feel so exciting and that bring me back to what I feel is truly myself. I want to hold onto them and jump in while I have the time. Winter always sneaks up on me and the Holidays are always a blur. We're getting away to Virginia Beach for Christmas and then taking a little trip to Charlottesville. We'll eat at diners, take little hikes and drive home along the Skyline Drive. It's amazing how much we need to get away and how good we feel even after just a few days. And I especially need the renewal that comes with being outside, walking amongst the trees and cold air, and not hearing the din of cars and planes. At a time that is often gray, wet and cold I'm trying to embrace the quiet and use the time to listen to myself, and do the things that I love. So I hope you have a happy holiday, and happy winter!